Origin / ancestry LA Confidential Type: hybrid. Parents: LA Confidential originates from OG Affie and California Indica varieties. 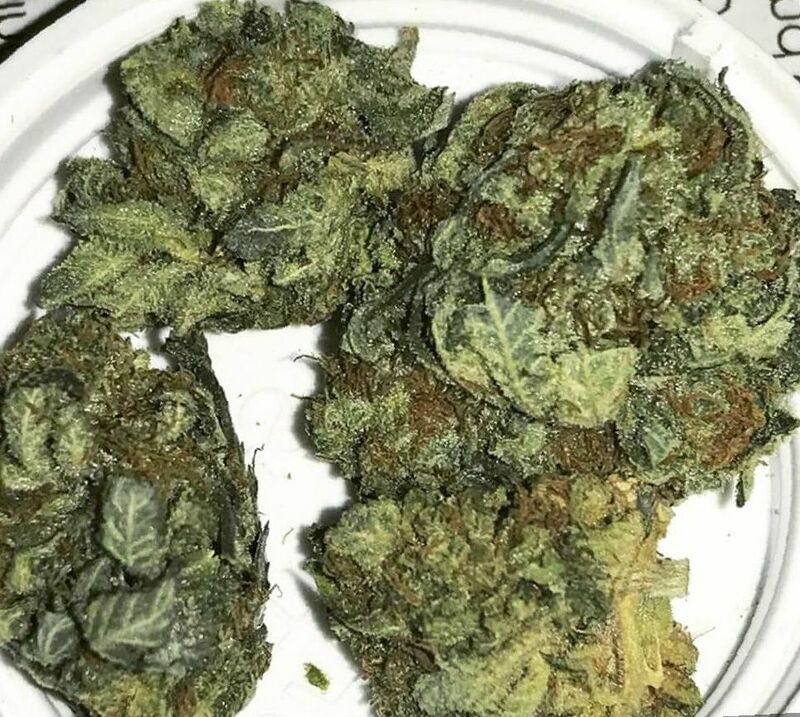 May Relieve LA Confidential weed can help relieve headache, chronic pain such as back and neck pain, as well as disordered moods such as anxiety and depression. It can also help with the symptom of insomnia. Disease resistance LA Confidential has high disease resistance. This bud is resistant to bacteria, pests, viruses, molds, mildew, and insects. Plant Height LA Confidential is a short plant. Adverse effects LA Confidential has the typical side effect of producing a sense of dry mouth or cotton mouth. It can also make the eyes feel dry and sleepy. Growing difficulty LA Confidential is said to be easy to grow for cultivars. LA Confidential is a hybrid of an OG Affie and an Afghan Indica. 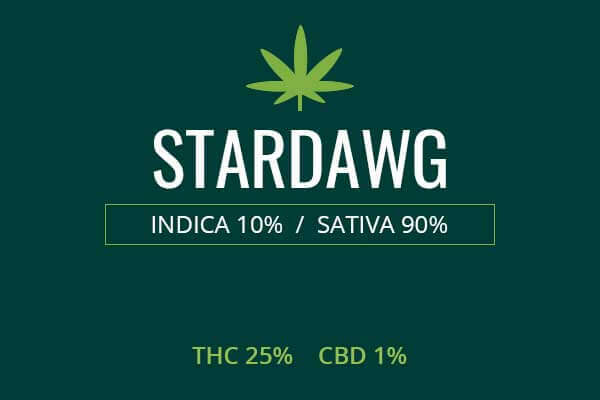 It is a product of experimentation at Southern California labs to produce a balanced Indica/Sativa. The strain has had a successful career in LA and abroad. 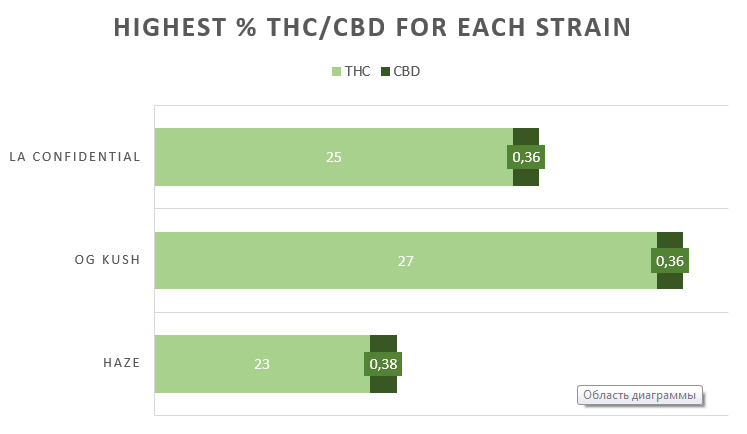 It’s THC content can reach 25%. This makes it a go-to for recreational users and medicinal users alike. LA Confidential has darker greener leaves with red hairs and is full of sticky white, resinous trichomes. It smells of pine, citrus, and fruit. It is also described as earthy and skunky. The taste makes the smoke delicious and non-irritating. This makes for a pleasant experience that keeps users coming back for a tasty, powerful hit that dissolves pain and anxiety. Growing weed from LA Confidential cannabis seeds and cuttings is said to be comparatively easy to do. It has very high resistance to disease and destruction from various causes. It will grow well even with an inexperienced grower. It can grow almost anywhere outdoors where the weather is dry and warm. Indoors, LA Confidential has a fast growing period of only six to eight weeks. In this time, it will yield about fourteen ounces of potent weed per square meter. Outdoors, you can expect about 16 ounces per marijuana plant. LA Confidential can be harvested in the later weeks of September or in early October. LA Confidential weed tends to have high THC levels, comprising up to 25% of the weed cannabinoid content. LA Confidential is a frequent go to for pain. It is said to be especially good at reducing levels of inflammation. Inflammation can be a cause of conditions like lupus and arthritis. THC and other phytochemicals in the plant will fight inflammation and allow the body to heal conditions caused by an overactive immune response to low level irritation. LA Confidential weed has a powerful sedative effect. It is possibly most used for this ability. Medical users who suffer from conditions of hyperexcitability will find relief in the delicious smoke of LA Confidential. Conditions like anxiety and depression may respond to the strong sedation. ADHD is sometimes treated with this medication. 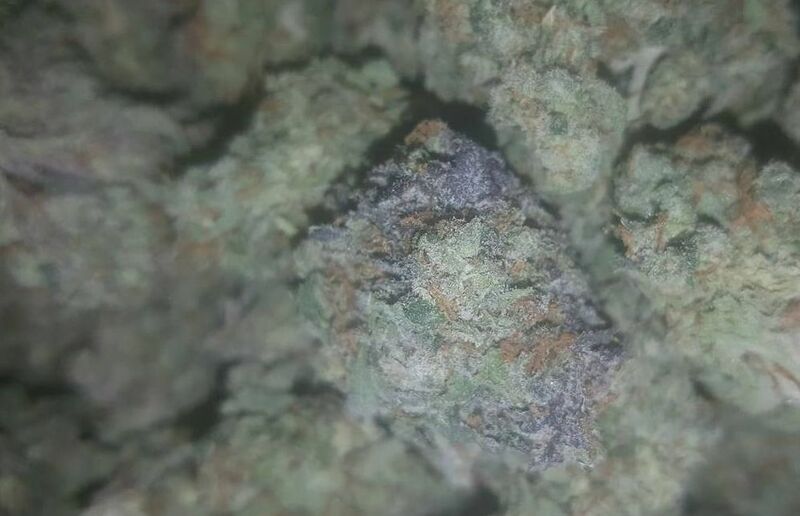 LA Confidential is also commonly used for chronic pain. It’s long-lasting and powerful effect has a therapeutic effect on conditions where pain is unrelenting. These include recurrent migraines. This also includes conditions like Chronic Fatigue Syndrome, Fibromyalgia, and back pain. Marijuana varieties have been used to safely treat pain issues for thousands of years. LA Confidential, like other varieties of weed, is effective for nausea of many origins, including that induced by chemotherapy and radiation for cancer treatment. Conditions like dysautonomia and POTS (Postural Orthostatic Tachycardia Syndrome) can also have profound nausea. 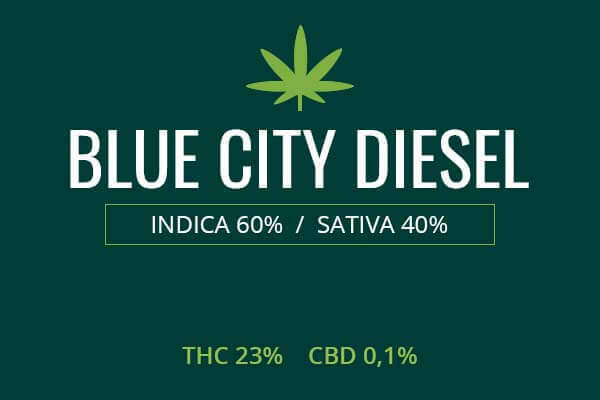 People with conditions like EDS (Ehlers-Danlos Syndrome), which frequently presents with POTS, may have cyclical vomiting syndrome for which a careful dose of LA Confidential may be a viable treatment to try. Lastly, LA Confidential is a powerful sedative for those who suffer from insomnia. LA Confidential, when used before bed, will make sleep easy and comfortable. It will get rid of annoying aches, pains, and itching that sometimes distract the sleeper. The eyes will get heavy and sleep will ensue even after a stressful day. LA Confidential is the frequent choice of rappers from LA like Snoop Dogg. It is the consummate lazy, relaxing bud. It will make you slow, lock you to the couch (couch lock), and induce the giggles. It will also increase appetite and give you the munchies. But it’s not a weak weed. 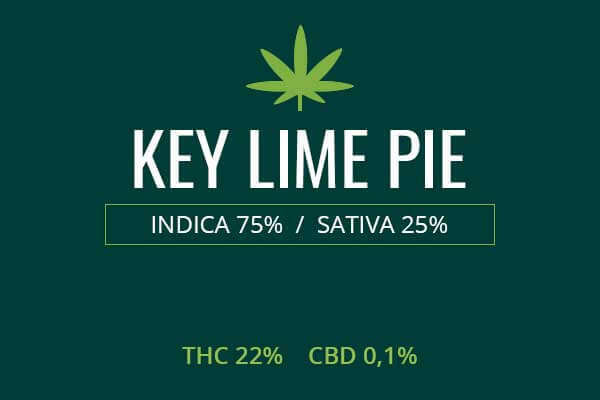 It has high THC levels so toke slowly and carefully. The hit of LA Confidential can be a powerful sedative and mood-booster. The last time I smoked La Confidential strain was 2009 but I remember its taste like it was only yesterday. I was diagnosed with depression that year and had to find alternative ways to battle the condition. 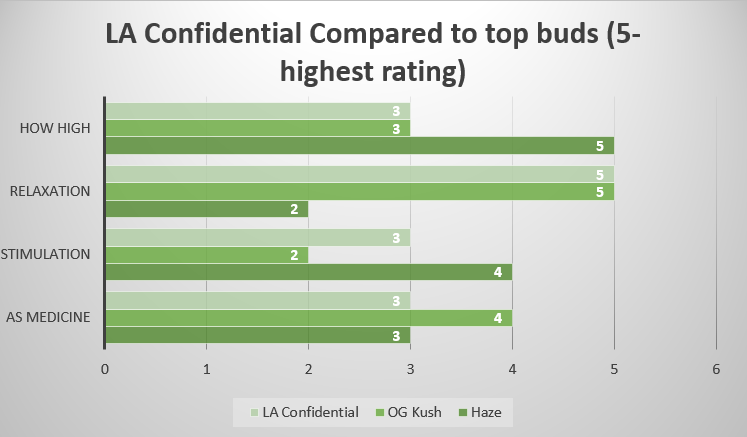 A friend of mine recommended LA Confidential because it helped him to handle his anxiety, so I tried it with him and I was pleasantly surprised. At the time I didn’t think marijuana could help me so well, but after La Confidential I changed my mind. My experience growing LA Confidential weed was awesome. I’m a beginner grower so I didn’t know that it was okay for the strain’s buds to turn black by harvest time, so I panicked a little bit and had to call my friend who’s an expert in this. Thank goodness it was normal! Well, I gathered a nice harvest of about 300 grams per square meter, which is not much but LA Confidential makes up for it with an unmatched high that locks you on the coach and making all troubles go away. I’m not a heavy smoker, but I bought a bit to try to relieve my chronic pain and I’m satisfied. 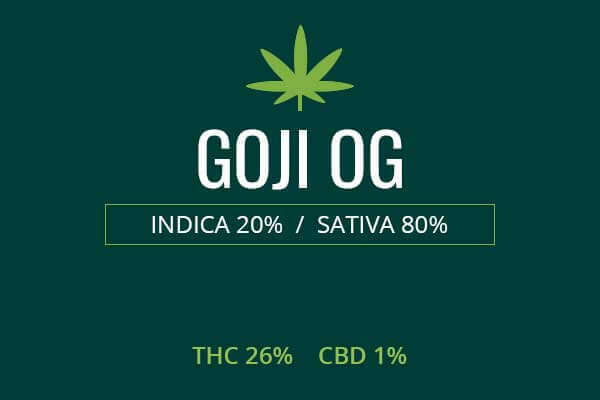 This strain is high in THC so every time I smoke it I feel like a free person who is able to do almost anything. Love a nice citrus fruity smell, too. Great all-around strain for a good price as I’m concerned. I’ve been craving an indica lately so I’ve tried LA Confidential cannabis. It’s quite a unique strain! I noticed its very dense, popcorn-like buds almost immediately when I was browsing through my options at the dispensary. Smoking was awesome: its pungent, earthy aroma very hints of spicy diesel and lemongrass is something that I definitely want to smell once again because before I knew it I was couch locked. Fellow growers, if you want a good indica to try to grow, La Confidential is your best bet. It’s fairly easy to grow and gives a nice yield both indoors and outdoors. For example, my last indoor yield was 550 grams per square meter, which is pretty good! Going to buy some more LA Confidential seeds soon because this strain gives me unbelievable euphoric high, too. Ate a large burger and listened to Eminem after smoking a bowl of this lemon pepper-like smelling stuff. Nice head high and long-lasting relaxing effects. If you’re a chronic pain patient like me, LA Confidential is a good strain because you’ll feel awesome for at least a couple of hours and then feel as relaxed as you can possibly be. LA confidential is one of the best strains i have smokee.